A1 Group Training have a range of Short Courses available to participants. There is no set commencement date for these types of courses as they commence at a time to suit participants’ availability. ​To enrol in any of our Short Courses you will need a Unique Student Identification number (USI). You cannot be issued with a Certificate or Statement of Attainment unless you have a USI. ​You can create your own USI by visiting www.usi.gov.au. Or authorise A1 Group Training to create one on your behalf. The single units of competency listed below are from either from the Resources and Infrastructure Industry Training Package or the PMA Chemical, Hydrocarbons and Refining Training Package. ​PMASUP236 Operate vehicles unit of competency covers the skills and knowledge required to prepare and operate vehicles and related equipment to patrol pipelines or otherwise drive across a variety of terrains. RIIVEH201D Operate light vehicle and RIIVEH305E Operate and maintain a four wheel drive vehicle are suitable for participants that are required to operate a light vehicle operate and operate and maintain a four wheel drive vehicle in the Resources and Infrastructure Industries. The short courses are available by completing the full course or through Recognition of Prior Knowledge (RPL). Only experienced operators can apply for RPL. Candidates completing the full course are provided with face-to-face knowledge training as well as practical hands-on-training using the vehicles and equipment in a work environment. This unit of competency covers the skills and knowledge required to prepare and operate vehicles and related equipment to patrol pipelines or otherwise drive across a variety of terrains. This unit of competency applies to operators who are required to check their vehicle daily for damage, ensure fuels and lubricant levels are maintained, effect minor repairs, prepare and maintain field equipment, and communicate with their base station. In a typical scenario an operations technician patrols areas of pipeline or follows pipelines across a variety of terrains looking for problems which require maintenance or reporting, or drives to remote facilities. During the course of their work they must check the vehicle for mechanical soundness before leaving base, ensure it is securely and adequately packed, make certain their communications equipment and contact schedule are in order and generally be prepared for long periods off-road. Generally the operations technician would be part of a team during field trips, though they may be required to undertake limited trips. At all times they would be liaising and cooperating with their base station. Operators must have the appropriate class of driver's licence before taking charge of the vehicle. No other licensing, legislative or certification requirements apply to this unit at the time of publication. This unit describes a participant’s skills and knowledge required to operate a light vehicle in the Resources and Infrastructure Industries. This unit is appropriate for those working in operational roles. Licensing, legislative, regulatory and certification requirements that apply to this unit can vary between states, territories, and Industry sectors. Relevant information must be sourced prior to application of the unit. Organising work activities to comply with site standards, identifying, selecting and load equipment and/or attachments, accurately and clearly reports environmental issues, pre-start, start-up, park-up and shutdown of light vehicle, operating light vehicle, equipment and attachments, correctly use vehicle lights and indicators, carry out inspections and identify faults and carry out minor maintenance and repairs and process written records and reports. ​This unit describes the skills and knowledge required to operate and maintain a four wheel drive vehicle in the Resources and Infrastructure Industries. This unit is appropriate for those working in supervisory and technical specialist roles. Licensing, legislative, regulatory and certification requirements that apply to this unit can vary between states, territories, and industry sectors. Relevant information must be sourced prior to application of the unit. 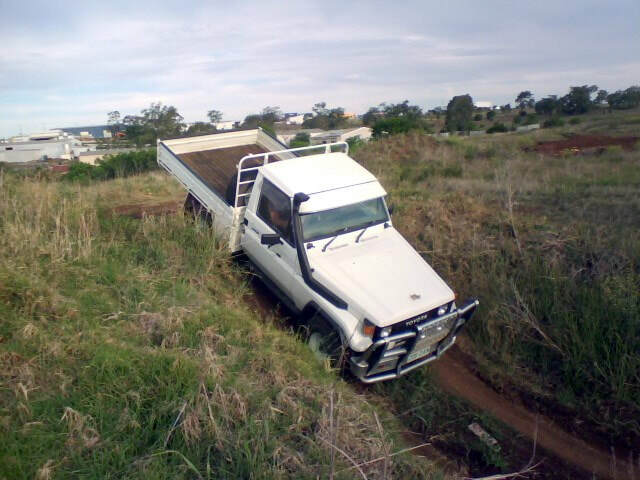 Preparing for and organising work activities to meet all task requirements, communicating clearly and concisely with others to receive and clarify work instructions, using a range of communication techniques and aids to advise others of work activity, performing pre-departure checks, selecting and programming navigation equipment, operating a four wheel drive vehicle on and off road, applying correct braking techniques according to terrain, engaging four wheel drive mode, carrying out stop stall key start recovery procedures (only applies to manual licencees), selecting routes and applying techniques to minimise damage to the environment, identifying and using multiple types of recovery equipment, performing recovery of four wheel drive and carrying out maintenance work and minor repairs including operating a jack to support a four wheel drive on unstable ground.